On 19th February 1937 (Yekatit 12), Italian Fascism showed its darkest face in Ethiopia. 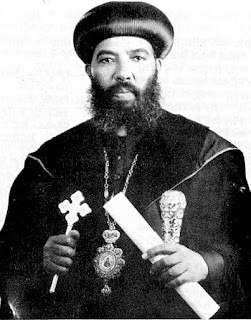 Following the unsuccessful attempt on the life of General Graziani by two young Ethiopians, Abraha Deboch and Mogas Asgedom, areign of terror was unleashed in Addis Ababa. With official backing, the Balckshirts, the political zealots of the Fascist orded, went berserk in the city, choping off heads, burning down houses with their inhabitants, disembowelling pregnant women and committing all manner of atrocities. The ducated Ethiopians were particularly targeted for liquidation. These included ,any members of the Black Lion Organization, disbanded after Ras Emeru's surrender, but closely watched in the capital. This elimination of the intelligentia was to create what is often called "the missing generation" in Ethiopia's intellectual and political history between the pre-war and the post-war generations. 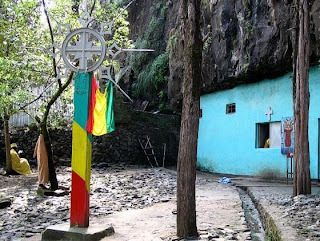 The Yekatit 12 Square (Sidist Kilo) monument stands in tribute to the thousands of innocent martyrs butchered by the Fascist Italian Occupiers on that date in in the Ethiopian Calender year of 1929. 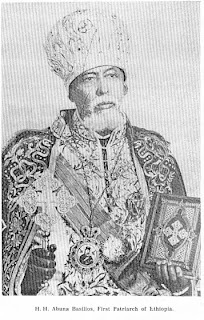 The massacre took place at the order of the Italian Vice-Roy Marshal Grazziani in response to an assasination attempt against him carried out by two pro-Ethiopia Eritreans. The monument is shown here during a religious procession of priests of the Orthodox Church, probably at Timkat (Epiphany). Wreaths were laid here by the Emperor to commemorate the massacre every year. 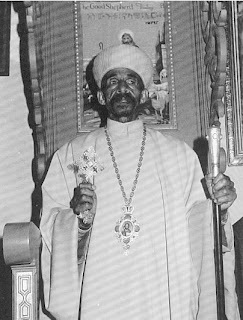 Col. Mengistu Haile Mariam continued this practice during his rule, but for a time after the fall of the Dergue regime, only the Mayor of Addis carried out this practice. Recently, the President of the Federal Republic has taken over this task. The monument is in the form of a white obelisk with black bas reliefs of scenes of the massacre as well as scenes of the Imperial funeral accorded to the remains of the victims in the presence of the Emperor following the liberation around it. A Lion of Judah also decorates the face of the obelisk. Even though the image of the Lion of Judah and the Emperor Haile Selassie were removed from all over the city during the reign of the Dergue, they suprisingly did not touch this monument. The monument stands in the Sidist Kilo square infront of the Yekatit 12 Hospital (formerly Emperor Haile Selassie Hospital and known before that as the Beite Saida Hospital). 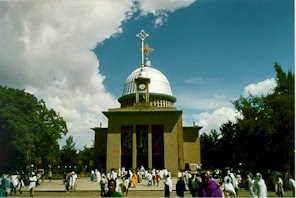 Also facing the square are the southern gates of the Guenete Leul Palace, which today is the main campus of the Addis Ababa University (formerly Haile Selassie I University). Anglican Church Leader: A muslim in a Christian garment? Islam has a new convert. Some will be surprised, but I am not. The newest convert to the religion of the unshaven face is Archbishop Rowan Williams. Archbishop Williams has been the spiritual leader of the Anglican Church in the United Kingdom. However, after his Feb. 7 interview on the BBC, I think we can all agree he is not so much a Christian leader as a spiritual capitulator. He is a muslim in a Christian garment. Last year he came up with another controversial decision. he supported an open gay bishop. Now he is preaching Sharia Law. Christian Europe is really surrendering to Islam. Read more. 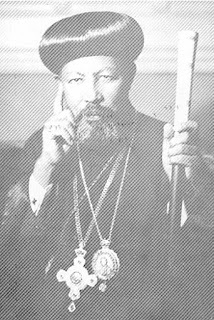 ለቤተ ክርስቲን ትልቅ ሥራ የሠራ አባት አቤት ሊሉ ከግቢው ውጪ የፈሰሱ ገዳማውያንን ሮሮ አይሰማም? 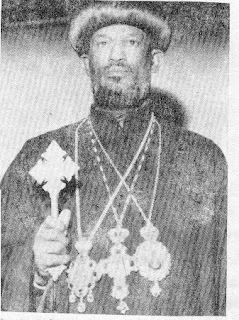 ጆሮው የሚከፈተው የወርቅ መስቀል ለሚሸልሙት ብቻ ነው? 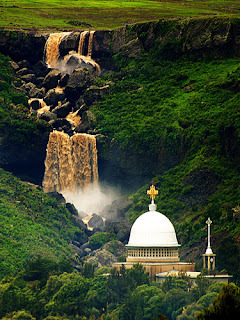 የሚገርመው ደግሞ የሸላሚዎቹ ነው፡፡ ቤተ ክርስቲያን በውስጥ በውጪ እንዲህ ተሰቅዛ ተይዛ የእርሱ ወርቅ ለመግዛት መሽቀዳደም ያስገርማል፡፡ በእውነቱ ይህ ጊዜ የምንሞካካሽት ነውን? ኧረ ይሉኝታ ይኑራችሁ!! !